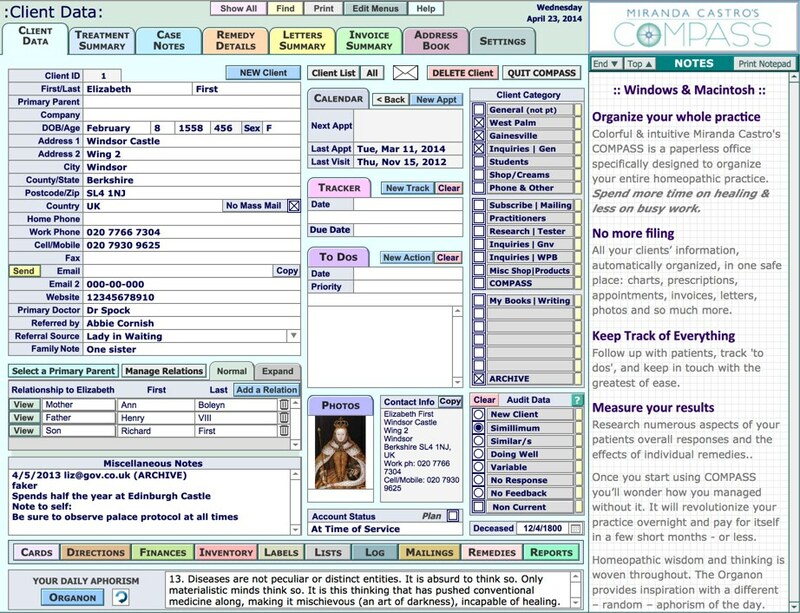 COMPASS is the perfect software to organize your entire homeopathic practice. Spend more time on homeopathy and less on busywork. Spend less time on paperwork and more on healing. 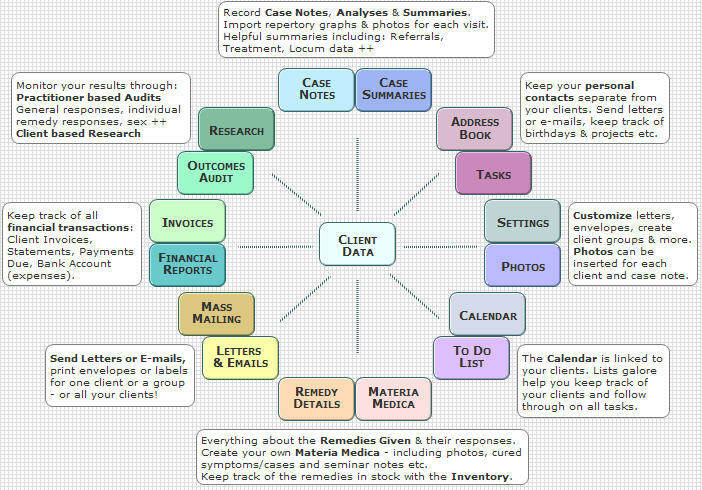 COMPASS automatically organizes all your clients' information in one safe place: charts, prescriptions, appointments, invoices, letters, photos and so much more. Research on every aspect of your practice is just a click away. Follow up with patients, track referrals, and keep in touch with the greatest of ease. COMPASS saves me an astonishing amount of time. It has taken my practice to a whole new level of ease & efficiency. Download COMPASS now for a 30-day free trial! (or after) the 30-day trial without losing any data. COMPASS helps me keep track of the many threads of my practice with the greatest of ease. I spend more time helping people & less on paperwork. It's brilliant! An inspirational "Aphorism of the Day"
Six versions of the Organon to study side by side. As a new practitioner, COMPASS has been invaluable for helping me manage the many, surprisingly complex details of running a homeopathic practice. I started using the program as a student and I love how organized my cases are. COMPASS made the transition from student to practitioner a breeze. COMPASS works on any new or fairly new Macintosh or Windows computer. COMPASS has been developed in FileMaker Pro 11. FileMaker is a comprehensive, cross-platform relational database. Compass has been developed by Miranda Castro & Jim Hoyt. 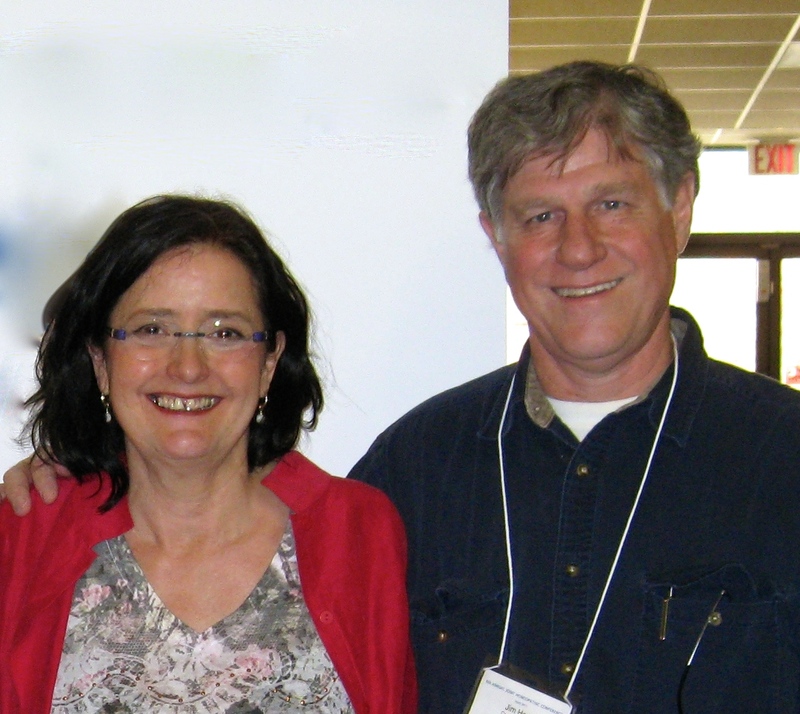 Miranda & Jim have been working together since 2000 on a variety of homeopathic projects starting with Kent Homeopathic Associates (creators of MacRepertory and ReferenceWorks) and including the National Center for Homeopathy and COMPASS! “I had to be dragged kicking and screaming into this brave new technological wonderland nearly 30 years ago. Once I was in I was hooked. I love technology... starting with my first Mac 30 years ago. I defected to PCs in the 90s and back to Macs about 6 years ago. “I have been working with Apple Macintosh computers since 1985 and developing FileMaker databases since 1987.